Apple’ s earnings could be impacted this year if the weak demand in China continues, according to Goldman Sachs. “There are multiple signs of rapidly slowing consumer demand in China which we believe could easily affect Apple’s demand there this Fall,” Goldman Sachs analyst Rod Hall wrote. Watch Apple trade in real time here. Apple’s earnings could be impacted this year if the weak demand in China continues, according to Goldman Sachs. 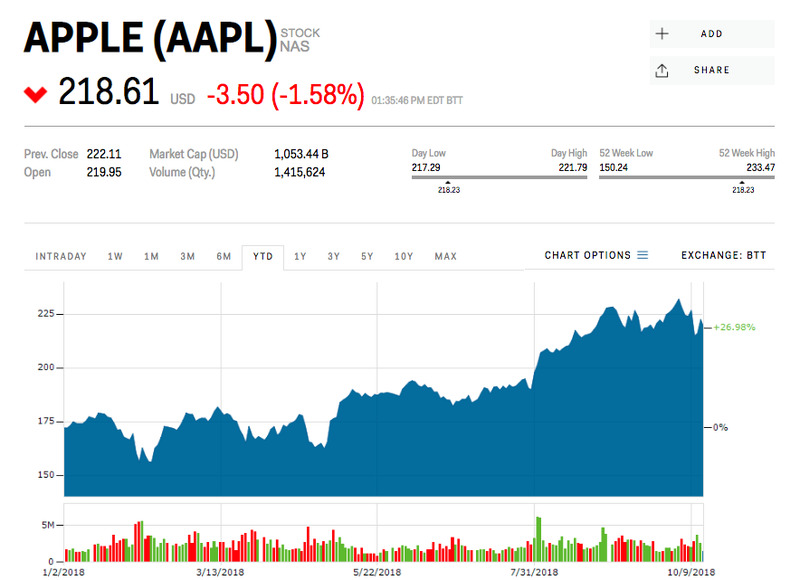 “There are multiple signs of rapidly slowing consumer demand in China which we believe could easily affect Apple’s demand there this Fall,” according to a recent note from Goldman Sachs analyst Rod Hall. 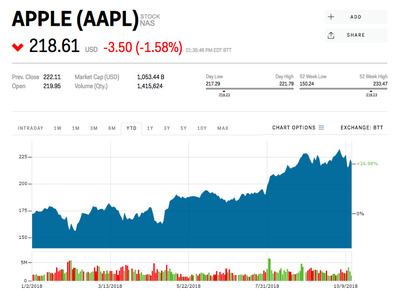 Apple shares were down 1.5 % on Monday. China’s macro data suggests the economy continued to slow as the Purchasing Managing Index dropped to 50.8 in September from 51.3 in August, the weakest result since July 2017. “We also believe that smartphone unit volume deteriorated by ~15% Y/Y in Q3 which is unheard of in a typically seasonally strong Q3,” Hall wrote in a note sent out to his clients on Monday. Hall has a “neutral” rating for Apple with a price target of $US240 – an upside of 8.1% to the current market price. 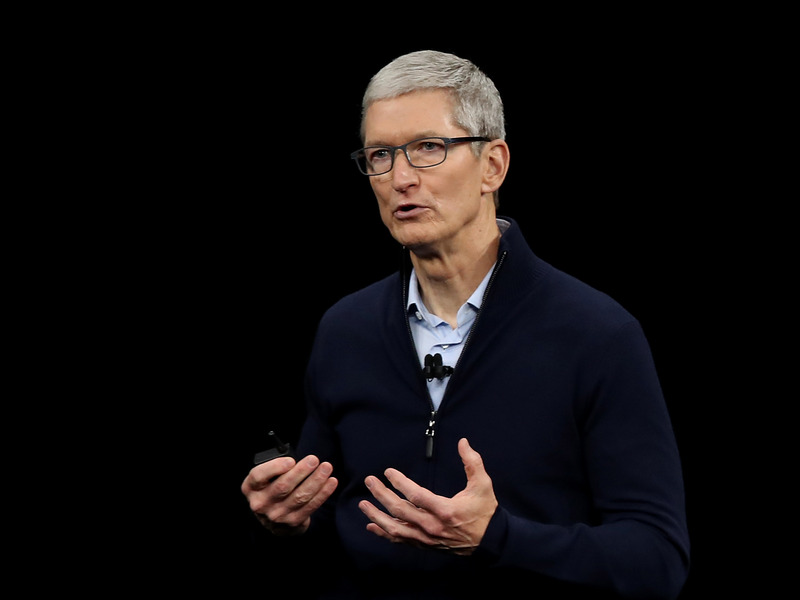 He estimates Apple will produce earnings of $US11.78 per share for the current fiscal year and $US13.77 for 2019. Hall predicts that China will account for approximately 16% of the 80 million iPhone units expected to be sold in the December quarter. “Our 13m unit forecast implies that Apple will continue to lose share in the high-end smartphone category (to 30% in Q4’18 from 32% in Q4’17) though it also assumes demand in that category is unaffected by macro,” he wrote in a note on Monday. However, he believes there is a possibility that the Cupertino-based company could benefit from the larger handsets of the new iPhone XS Max and iPhone XR. “We believe Apple will be able to participate in this growth category of smartphones starting in Q4’18,” he said. Apple shares were up 26.7% so far this year.